BEKO, one of the largest home appliance brands in Europe, is finally in the Philippines. 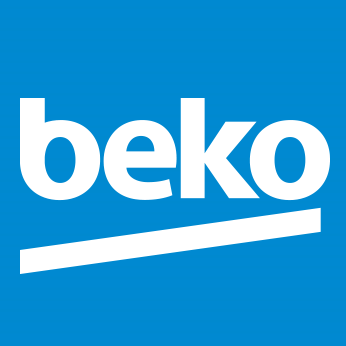 Entering the Philippine market in July of 2015 and exclusively available in select SM Appliance Center stores, BEKO provides an innovative and reliable range of kitchen and home appliances which make consumers daily lives easier. The consumers' way of living has evolved throughout the years. While consuming, this “smart generation” also wants to save. They do not want to waste natural resources, their time, and family budgets. On the other hand, they also do not want to compromise on quality, technology and design. With its wide range of kitchen and laundry appliances, BEKO never stops thinking about innovations and novel ways to overcome challenges. BEKO also respects the environment by offering resource-efficient and environmentally friendly products with superior technologies and stylish design. Given all these, BEKO prides itself as the official partner of all the stories of your house. We’re your partner in the best moments, like when you’re celebrating with your friends, and we also stand by you in your not so good moments, to help you get over them in the best possible way. We’re the official partner of the families that don’t surrender, that build a good team and that know how to enjoy every moment that happens at home. Recognizing that, nowadays, social media (particularly Facebook), is a regular person’s partner in his daily life, Beko Phillippines has recently launched the Beko Philippines official fan page (@BekoPH). The page, which has now close to 23,000 fans and is still growing, serves as Beko Philippines’ strongest communication platform to its customers and target clientele. Apart from showcasing the brand’s products, the page also provides useful information on how Beko can be the official partner of the everyday of the Filipinos. Beko’s Smart Tips range from how to organize one’s refrigerator reduce food wastage to how to keep cake slices fresh. As the brand’s window to the digital world, the Beko fan page is administered by its able digital media team who also addresses customer service concerns—a committment Beko has to every Filipino partner. Beko Philippines also encourages everyone, through its Facebook page, to visit its website (www.beko.ph) to know more on how Beko can make the average Filipino’s life easier and stress-free. Alongside Beko’s presence in social media is its advertising campaign to support its global Premium Partnership with FC Barcelona. The campaign, which celebrates team spirit, features FC Barcelona’s best known football players including Lionel Messi, Neymar Jr., Gerard Piqué, Luis Suárez and Andrés Iniesta working together, both on the pitch and at home, and showing how they inspire and support each other as a team. Barcelona’s winning spirit is captured perfectly, showing fans how team spirit really can implement change for the better. Step 3: Upload a creative photo of one’s self or with friends with a caption that says- #HelloBekoPH and press the Submit Entry button. The Facebook Contest ran from December 1 to January 7, 2017, attracted a number of participants who come from different backgrounds and representing Beko’s target market profile. They will gather on January 14, 2017 for the Kick-Off Challenge qualifier with which each participant will be given three (3) attempts within one (1) minute each to try and kick a ball inside a customized mock up washing machine goal from a designated distance of twenty (20) feet. There shall be a knock-out phase and only the top 10 participants who successfully made the most number of goals shall move-on to the final round. During the Final Round on February 10, 2017, the top 10 participants shall be given three (3) attempts within one (1) minute each to try and kick the ball inside a customized mock up washing machine goal from a designated distance of twenty (20) feet. The participant with the most goals shall be declared the grand winner. In case of a tie, the shoot around with 3 attempts and one minute limit shall be repeated until one emerges as the grand winner. The top 10 finalists will each be given a specially designed BEKO FC Barcelona Gym Bag. Sparta Philippines, the country’s only indoor football pitch located in Mandaluyong City, is the official venue partner of the activation. The winner will receive a plane ticket for one (1) to Barcelona, Spain, a ticket to an FC Barcelona match to be held at Camp Nou, hotel accommodations, and city tour. 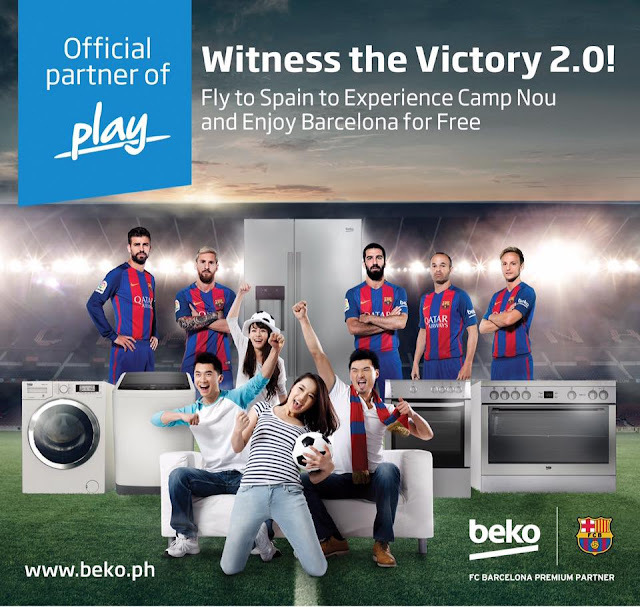 Alongside this activation, BEKO Philippines also runs the “Witness the Victory 2.0!” Experience Camp Nou and Enjoy Barcelona for Free promo. Now on its second year, the raffle promo runs from November 15, 2016 until January 31, 2017 and is open to all buyers of BEKO products. Two (2) winners will be drawn and each will enjoy a trip for two (2) to Barcelona, Spain to watch an FC Barcelona match live in April 2017. The tax free prizes include Two (2) Round Trip Tickets to Barcelona, hotel accommodations with breakfast for 2, Barcelona City Tour, and Two (2) La Liga Match Box Tickets. BEKO is one of the strongest and leading brands in the whitegoods sector in Europe and has been the fastest growing brand in the European market. Given that the brand sells every two seconds somewhere in the world, BEKO has always embraced the goal of “Being a World Brand.” BEKO has been the first choice of 280 million consumers in more than 100 countries by carrying on its Turkish market success all over the world. Designed to make your life easier thanks to super-fast programmes and energy saving technology - BEKO delivers exceptional value for money, providing smart, innovative and energy efficient home appliances. These factors, combined with an affordable and reliable proposition, make BEKO the brand of choice for today and the future. BEKO is the international home appliances brand of the Arçelik Group and belongs to the Koç Holding – one of the largest companies in Europe, ranking among the first 250 on the Fortune Global 500 list. It is also the leading home appliances brand in Turkey, offering extensive and innovative ranges of both home appliances and consumer electronics. The Arçelik Group, with nearly 60 years of experience in the industry, is now a key player in the home appliance industry in Europe, Middle East, and Africa. With approximately 25,000 employees and 14 production facilities throughout the world, the Group provides products and services in over 130 countries with sales and marketing offices located in 25 countries and under 10 different brands. To know more about Beko and Beko Philippines, like the Beko Philippines fan page (@BekoPH) or visit the website at www.beko.ph.